If you’ve ever been downhill skiing, you’ve seen this sign before you got off the chair-lift: Raise Restraining Device. Most likely these words didn’t change your life, but they inspired Steph Jagger to change hers. 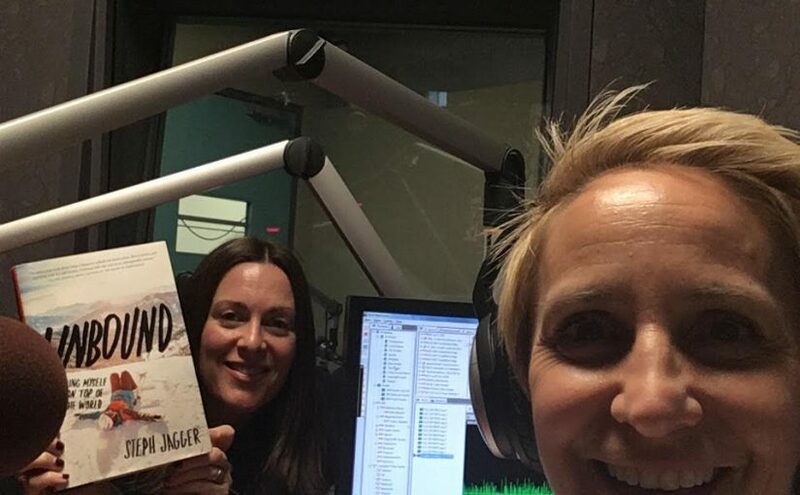 In UNBOUND – Finding Myself on the Top of the World Jagger shares her story of leaving everything behind and spending a year skiing around the world covering over 4 million vertical feet – unofficially breaking the Guinness Record. She said the girl that left is not the women who returned – it’s fascinating and courageous story that we can all learn from. Michel Neray, founder of momondays also joined me and we discuss the power of storytelling and how you can use it to enhance your work and home life. Listen in to our convo for some inspiration to live Your Life, Unlimited! This entry was posted in Empowerment, Motivation, Overcoming Obstacles, Personal Growth and tagged cjob, empowerment, Inspiration, Motivation, personal growth, Stephanie Staples, Your Life Unlimited. Bookmark the permalink. Next Next post: Women Fly!